Seth Ferranti’s the Gorilla Convict Writer. In 1993, after spending two years as a top-15 fugitive on the US Marshal’s most wanted list, he was captured and sentenced to 304 months under the federal sentencing guidelines for an LSD kingpin conviction and committed to the custody of the Attorney General. A first-time, non-violent offender, Seth has served 17 years of his 25 year mandatory minimum sentence. His case was widely covered by The Washington Post and Washington Times, and his story was profiled in the pages of Rolling Stone and Don Diva magazines. 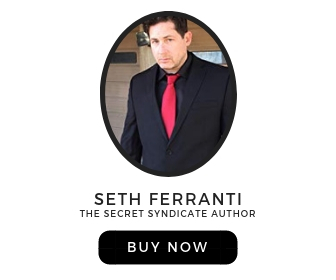 Secret Syndicate Made Men get 10% of all signed books by Seth Ferranti. An exclusive deal not found anywhere else. Follow the link above to order a copy.